For any carrier looking for an efficient and reliable way to connect with shippers and make sure his product is shipped and delivered safely, getting the right services he asked for, there are business networks especially created for this purpose. To save you some time, we decided to help you with the search. We did our research and we discovered one amazing business network specially created for shippers and carriers to connect. Let’s discuss it. Developed for iOS and Android users, Freight King is a platform and load board app for shippers and carriers allows both parties to be a part of a transparent, smart and reliable marketplace which allows them to directly connect for full truckload, less than truckload, and intermodal services across the nation. The platform is allowing shippers to submit live shipments efficiently and quickly and the carriers can easily get the full list of available loads through the app and website. With the platform, shippers and carriers get to connect to make sure the services are done as agreed. 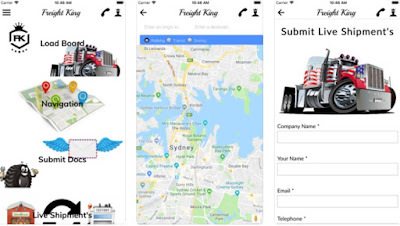 What are the best features of Freight King? Freight King is a marketplace for carriers and shippers that can help to identify of the right equipment that depends on the customer’s freight from the growing network of 25,000 local, regional, and national carriers offered. On the platform, the carriers are vetted prior they join the network which is guaranteeing the shippers with the safe and reliable shipment and delivery of their product. Providing with the latest technology, this network offers services which are suitable for each customer’s product and needs. The platform keeps the truck loaded and on move from spot freight to dedicated lanes. Each payment is on time every time and the carrier can even choose the Quick Pay to request to expedite payment even faster. Available with the platform are hundreds of loads daily and the carrier can choose between multiple options considering all before booking his next loads. The haul of shipments of all sizes and commodities are available with these services and for any issue, the platform can be contacted via phone, email, social media or text message 24/7. All the right information at the right time is available for shippers with digitalized technology, ensuring them that their load is safe. For locating drivers there is no need for another app, the platform offers geo-location to eliminate emails and calls. Download the app on Google Play and App Store for building successful business relationship among shippers and carriers!